KUALA LUMPUR (Jan 22): Calls to remove Datuk Seri Mukhriz Mahathir as Kedah menteri besar and Umno state chief are targeted at factions critical of Prime Minister Datuk Seri Najib Razak, analysts say. They said the move would only cost Umno votes in the next general election, due in 2018. "If Datuk Seri Najib Razak manages to remove him as menteri besar, that will likely lead to an open split in Umno with (Tun) Dr Mahathir Mohamad quitting the party or being sacked for harsher attacks against Najib," said Dr Wong Chin Huat, a senior fellow at the Penang Institute. "And certainly Umno will pay the price in votes and seat loss." But if Mukhriz, who is Dr Mahathir's son, managed to stay in power despite the open revolt, it would be read as a sign of Najib's weakness. Wong added that the entire saga was "definitely a proxy war" between the Umno president and Dr Mahathir, his harshest critic. Dr Lim Teck Ghee, who heads the Centre for Policy Initiatives, said the battle within Umno would "adversely" affect the party's fortunes in the coming polls. "It is a move that will divide the party further. Hitherto the split had been confined to Umno at the national level. 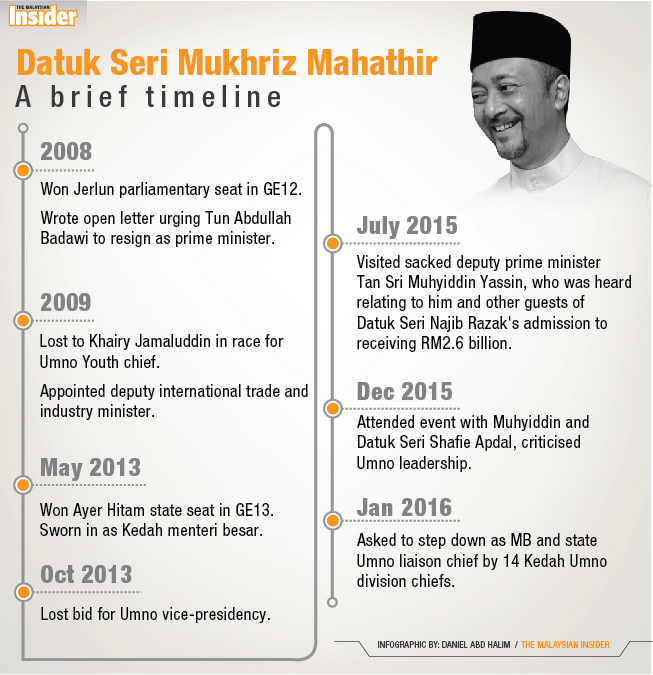 Now it is percolating to state and grassroots level," he said of the calls to oust Mukhriz. While it is unclear whether the move had Najib's blessings, the hit against Mukhriz and Dr Mahathir would be seen as marginalising the anti-Najib faction further, added Lim. "What we are seeing is also the emboldening of state-based politicians to push for their own interests and advancement, under the cover of support for Umno's president." On Wednesday, 14 out of 15 Kedah Umno division chiefs declared they had lost confidence in Mukhriz and wanted him removed as menteri besar and state party chief. Kedah Umno deputy chief Datuk Seri Ahmad Bashah Hanipah, who held the press conference, said Mukhriz had failed to unite the party leadership and machinery, and that he had no strategy for Kedah Umno to face the 14th general election. 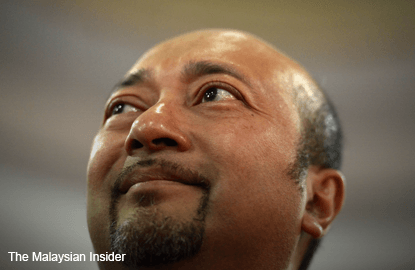 While Mukhriz has not taken on Najib directly over his alleged financial scandals, he has questioned the party president's stewardship of Umno in asking grassroots leaders to support leadership reform. He has also appeared to have aligned himself with Najib's critics in Umno such as former deputy prime minister Tan Sri Muhyiddin Yassin – he was seen in a video clip recorded after Muhyiddin's sacking in July last year, in which the axed leader told his guests that Najib had admitted receiving a huge amount of money in his personal accounts.